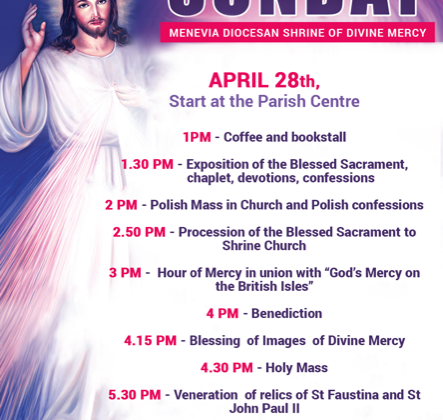 At 1.30 pm the queue for confessions was already three pews deep and many of the penitents and other participants had bought their Images of divine Mercy to be blessed. After the Blessing and various prayers to open the afternoon, the Blessed Sacrament was solemnly exposed on the Altar. during the time of prayer and the hour of Mercy devotion, confessions were continuous being heard by Fr Artur and Fr Andrzej. Devotions were led by Fr Jason. 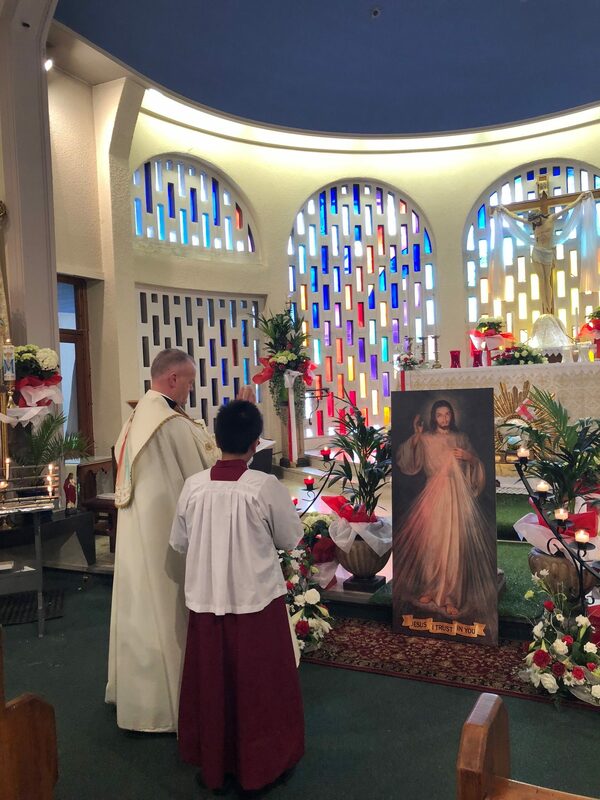 and included a Sung Chaplet of divine Mercy, readings from the Diary of St Faustina, Hymns and litanies. 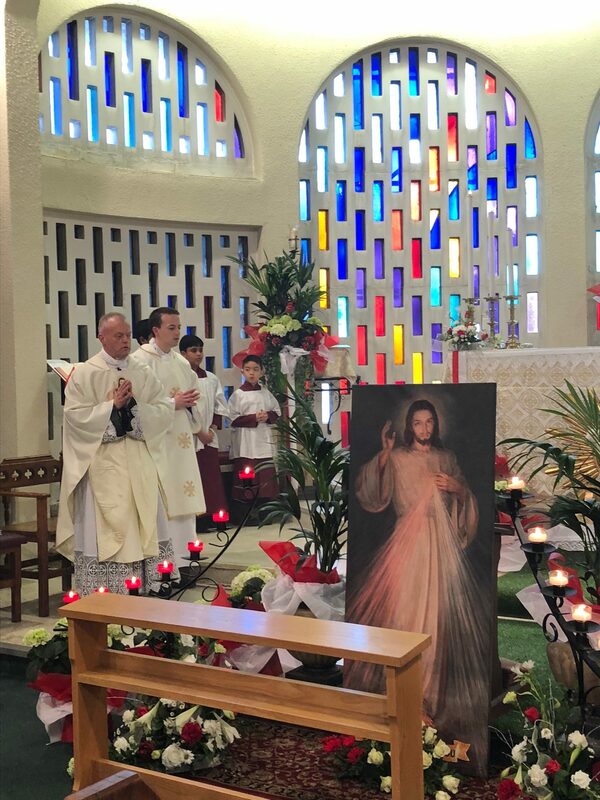 The Hour of Mercy was concluded with Benediction of the Blessed Sacrament. At 4pm the Solemn Mass of the Feast was celebrated by Fr Jason who was assisted by Deacon Mathew Roach Saunders and 10 Altar Boys. Confessions continued until 5.30 pm. 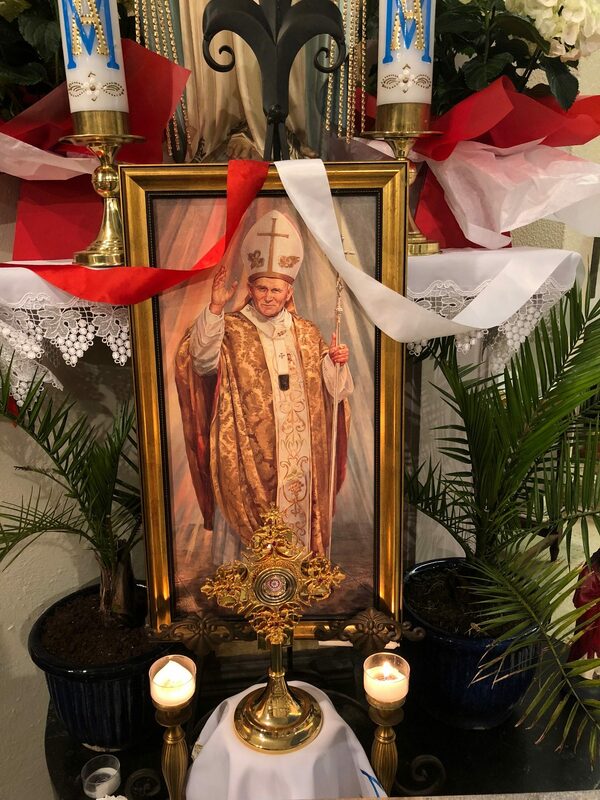 Fr Jason spoke about the History of the Feast in the Diocese has involvement in the celebration since 1989 and how happy he was to be celebrating this day at an official Shrine within the Diocese. 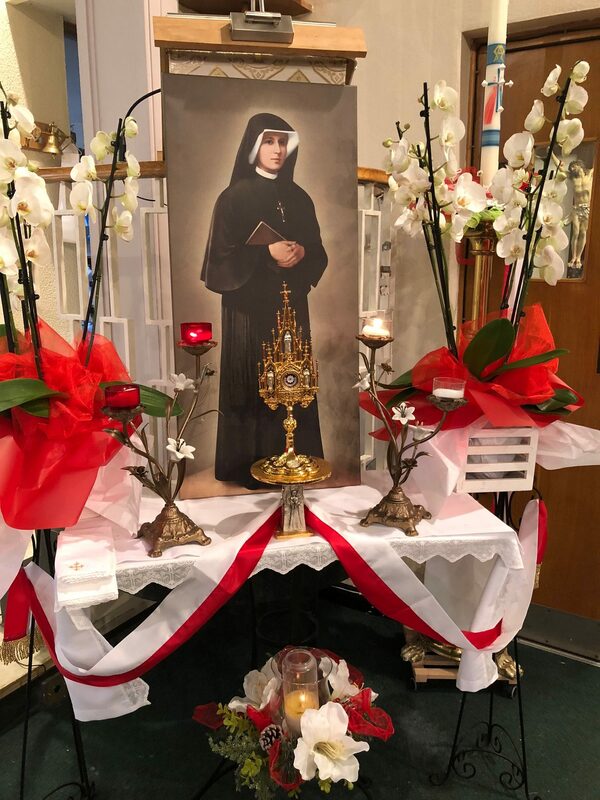 At the Conclusion of the Mass there was an opportunity for all to venerate the 1st Class relics of St John Paul II and St Faustina and also to be blessed with the oil of St Faustina.